Explanation: To prepare for the Apollo landings, five Lunar Orbiter spacecraft were launched during 1966 and 1967 to gather detailed images of our fair planet's large, natural satellite. 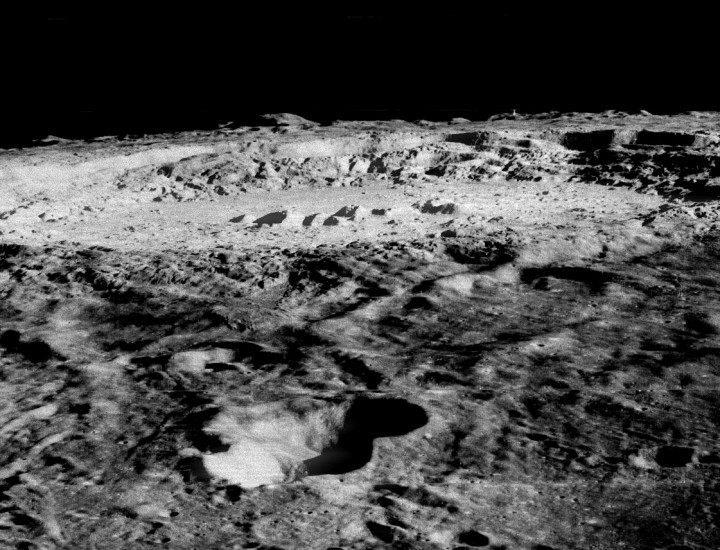 Dramatic views returned by the spacecraft cameras included this stark moonscape. The mosaic of 93 kilometer wide impact crater Copernicus features central peaks rising above the crater floor and rugged crater walls. Note: As of today, June 16, the APOD editors have enjoyed presenting images from space missions, major observatories, and professional and amateur cosmic tourists alike for twelve years. A sincere thanks to our web site operators, translators, and to all for the gracious email and continued APOD submissions!